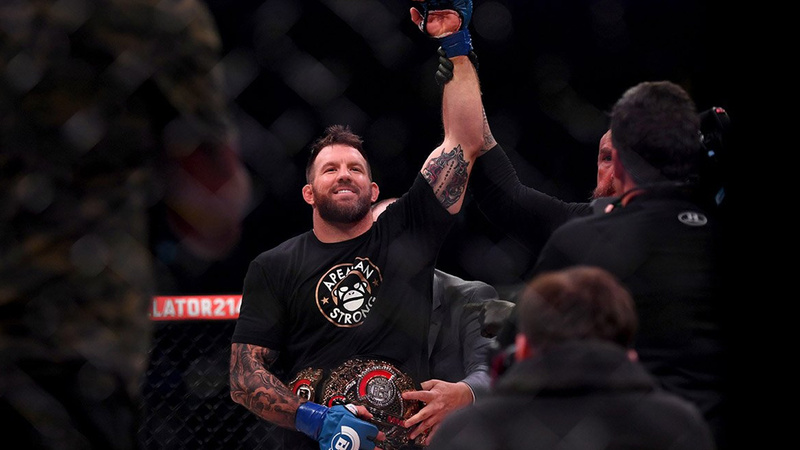 Current Light Heavyweight champion Ryan Bader made history last night (Sat, Jan 26, 2019), becomes Bellator’s first ever double champ simultaneously after knocking out MMA legend Fedor Emelianenko in the main headliner of Bellator 214 which went down from inside The Forum in Los Angeles. It only took Bader 35 seconds to win the Heavyweight World Grand Prix tournament. Early in the fight, Ryan Bader landed a massive left hand on the jaw, that dropped Fedor on the mat then followed up with ground strikes. ‘Darth’ says he foresaw the moment when he’d KO Fedor and practiced extensively in the training camp to make sure he’s ready for that timing. “You know what? I saw that moment,” Bader said Saturday night at Bellator 214’s post-fight press conference (h/t MMA Fighting). “And you can ask my team, we practiced that moment a lot. I saw that punch was going to do it. You can’t see his right hand because he throws from his hip. He’s very hard to see, he throws hard. But in doing so, you leave yourself exposed. And we felt that he was going to respect my wrestling a lot, and I could put one up top. If you look through any of the footage on the Countdown shows and all of that kind of stuff, we were practicing that punch the whole time. Throwing a jab, getting our distance, and then feinting and throwing that left hook, and we knew he’d be there. Bader isn’t the only fighter who won titles both in the light heavyweight and heavyweight divisions simultaneously, as Daniel Cormier who also scored the same feat in the UFC recently. ‘DC’ and Bader shares some old rivalry from the days when Bellator champ was still under UFC banner. Back in 2015 ‘Darth’ crashes UFC 187 post-fight presser and almost got into fist fight with Cormier. Bader says that’s an old chapter which is already closed but wouldn’t mind if an opportunity comes by. Well at the moment both fighters are under different MMA promotions and chances of this bout to happen is unlikely. What do you think the future holds for Bader after a recent win?